The Red Oak Steakhouse is part of the Downstream Casino in Quapaw, OK. Very much off the beaten path, though only a few hundred meters off Interstate 44 where Oklahoma, Missouri, and Kansas all meet. It is absolutely the best steakhouse in the area. The next closest steakhouse of similar caliber would be either Oklahoma City or Kansas City. The Martinis are also very good. The stems are kept in the refrigerator, they’re mixed perfectly & amply and served promptly. Their gin selection in pretty sparse but they do have my favorite: Bombay Sapphire. The barkeep is quite friendly and will be happy to regale you with the history of the Bar, the Casino, and the Quapaw tribe. For selection the Red Oak Steakhouse gets a C-. Their Gin selection is pretty short with Bombay Sapphire, Tanqueray, Tanqueray 10, and Hendricks. As you know, I don’t usually review chain restaurants. Even those as nice as P.F. Chang’s. You also might have noticed that I review a lot of bars on the two coasts. Traveling back and forth I pass through Atlanta’s airport quite often. Very Often! Finding a place to eat and grab a Martini while transferring in an airport is rough. Historically airport food has been mediocre, at best. Thankfully times change and the options today are much better. Atlanta Airport is certainly right there with “One Flew South” and others. But I’m looking for a Martini, or two, between my flights and my choice is P.F. Chang’s. Which is located in the center of concourse A, upstairs. There are several reasons. First, the Martinis are good. Not super, not great, but well chilled, abundant, and reasonably priced. Second, I can sit at the bar and look out over the airport and watch the planes roll slowly by. Well part of the airport anyway, ATL is pretty huge. Third, the staff knows that people are in transit and they get your order to you quickly; food and drink. Fouth, there is a power outlet between every other seat at the bar. Perfect for charging your phone/iPad/Nexus or whatever. Finally, the people there are really very friendly. he was sipping martinis and chatting up all the ladies that walked by. 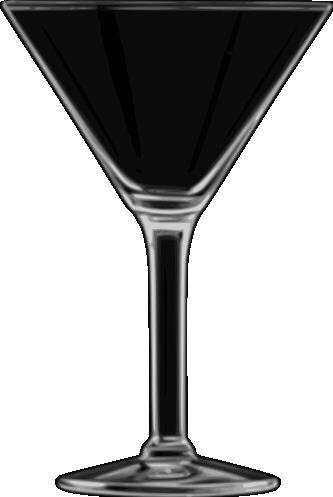 Do you have a pet peeve regarding Martini Making? I do, several. Having now carefully observed many bartenders making my Martinis and, on occasion, taking notes I have come up with a few pet peeves on bartender’s Martini making processes. Now, I’m not going to claim that any of these little nits actually make a difference in the taste of the Martini, but they sure do affect the enjoyment of the Martini. My first, and by far the biggest, pet peeve is leaving my finished martini on the bar or prep station instead of giving it to me. I can see that the Martini is done and yet there it sits over by the bartender instead of in front of me. It’s getting warm and my tip is getting lower by the second. I don’t care if your boss has a question. Or the phone rings. Or the bar-back needs guidance. Or, god forbid, your spouse / GF/BF calls. I’m the customer and my Martini should be delivered immediately upon completion. The second pet peeve is similar to the first but not as egregious. And that is the barkeep taking FOREVER to make the martini. First walking to one end of the bar to get a martini stem before putting it down on the prep station. Then looking around and getting some ice to put in the stem. Perhaps going to get some water to put on the ice in the stem. Then walking to the far end of the bar to get the gin and bringing to the prep station. Looking around for a jigger before walking over to the tool chest and finding it. Finally mixing the Martini and then looking around for the garnish. Oh, right, there isn’t one, so then we start the process of looking for a lemon to make the twist….. Speaking of the garnish; pet peeve number three. Get the garnish ready FIRST. Put the olives on the toothpick or strip the twist off the lemon first. You’ve properly shaken the gin and vermouth and poured into the chilled stem. It’s all now perfectly mixed and nicely chilled. But if you start working on your garnish now the Martini is just warming up. Next Pet Peeve: Inadequately stirred Martinis. As you know I prefer my Martini shaken, but I don’t ask for it shaken. If the house policy is stirring, then I’m fine with that. BUT, stir it enough to properly chill the Martini. A quick 10 second stir is NOT enough. It needs a good 60 seconds of stirring. If you can’t take the time to properly prepare a stirred and chilled Martini then shake it. Rarest Pet Peeve: Not knowing how to make a Martini. Enough said! •Not knowing what Gins you stock. Really? There usually aren’t that many. Or are Gin drinkers really that rare? •Not knowing that you’re out of one of the Gins. I’ll cut you a little slack here if you’ve just come on duty. •Dirty stem. Didn’t you look at the stem when you picked it up? Didn’t you see the lipstick or left over chocolate on it? Or did you just not care? •Cracked stem. Again, didn’t you look at the stem when you picked it up? •Soapy stem. Hey, I’m really glad you washed the stem, but next time please rinse it completely. 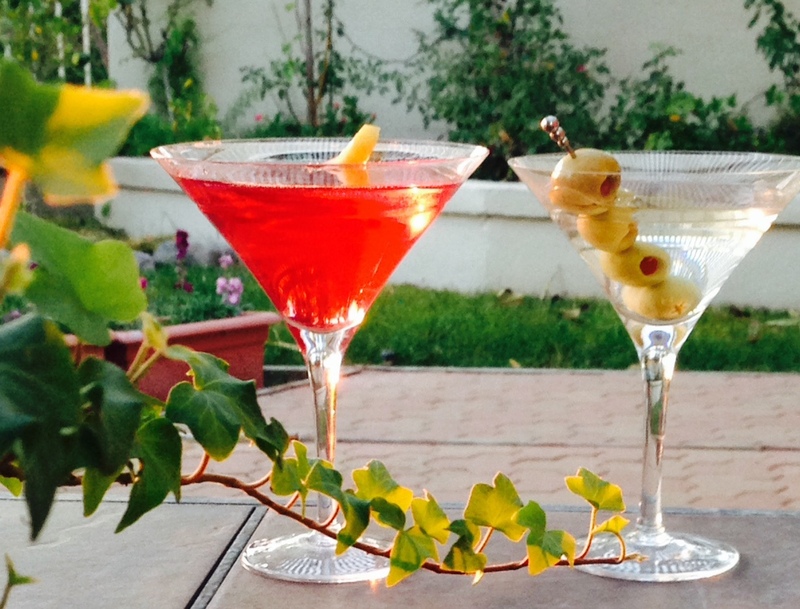 I’ve added several new entertaining quotes to my Martini Quotes page! If you haven’t stopped by recently you’ll be pleasantly surprised at how the collection has grown. 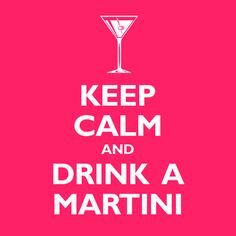 In fact I firmly believe that I have assembled one of the best collections of Martini Quotes & Jokes to be found anywhere! None-the-less, I am constantly searching for new quotes so if you have one, please let me know. Of if you know of a book, magazine, or web page where there are, as yet unknown to me, myriad quotes & jokes, please pass them along. The Ranch in Anaheim is a relatively new and excellent restaurant. Definitely worth a visit, if you can find it! Not that the address is hard to find, you just don’t believe you’re there as you approach. The restaurant is cleverly hidden in the first floor of a multistory working office building. As you approach all you see is the plain, function, nondescript 6 story office. But that’s the place! Drive around off the entry road and you’ll see the doors to the facility. Yes, ‘doors’, plural. There are two sides to The Ranch experience; the Restaurant on the left and the Saloon on the right. 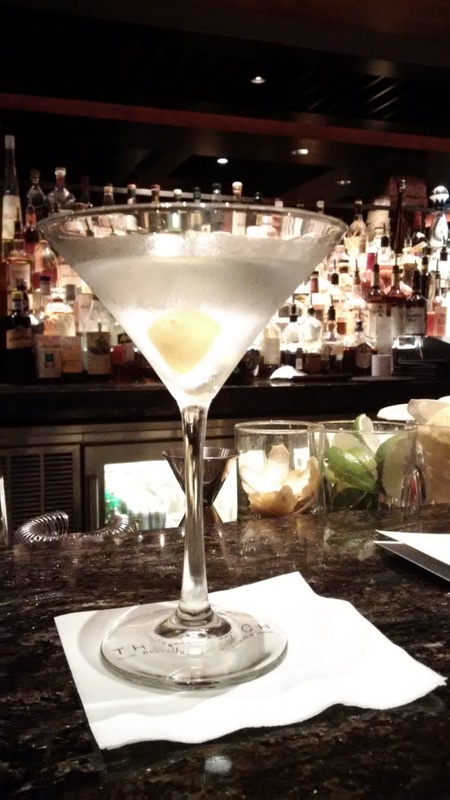 While I’m sure that the martinis are the same on both sides, I’m reviewing the restaurant’s bar and Martini. But a quick comment on the Saloon side, for those interested. It is built to resemble the inside of a barn and its just about as big as one. There is a very long bar along one side of the Saloon and a secondary bar along a side wall. Across from the main bar there is the stage where live bands play. In between the bar and the stage, down two tiers of tables, is the dance floor. It is large and almost always filled with dancers, either during the free dance lessons or during the shows. Check their website below for current acts and times. As for the restaurant, it is beautiful. While not totally decorated with the Barn motif of the Saloon side it is still very much decorated as High End Country. Very high end! First let me get the food comments out of the way. This place is fantastic; their steaks are incredible with a large set of choices. The sides are outstanding and the service is impeccable. Absolutely worth a special visit. The Martinis were really very good. The stems are kept in the refrigerator, which is always a selling point for me! They were professionally and promptly prepared which also maintained the nice chill to the drink. They were a just a tad on the small side and bit pricey. But the latter was in keeping with overall ambiance of the restaurant. The barkeep was professional, helpful, and enthusiastic. I say ‘were’ prepared because I had a second Martini and chose something different, the St. George Dry Rye. Really different. I’m still trying to decide if I liked it or not. This Gin is powerful, really heavy flavored, with a bit of pepper accent to compliment the rye and, of course, juniper. I had it as a Martini which I think is about the only way you could drink this, I have no idea what mixer, liquor, or garnish would go well with it. Not everyone will like it, of course, but if you’re at all on the curious or adventurous side definitely try it. The Ranch gets a “A-” for gin selection. They have basics and a couple of more “unusual” gins. Their choices are: Bombay, Bombay Sapphire, Tanqueray, Tanqueray Ten, Hendrick’s, Beefeater, Nolets, Damrak Amsterdam, Right, and St. George Dry Rye. I would also note that their selection of wines, whiskeys, whiskys, and cognacs are excellent!